Depending on how old you are or where you grew up, you may have never tried making your own telephone using 2 tin cans and a string. Now I’m not 100 years old but actually did do this as a child. 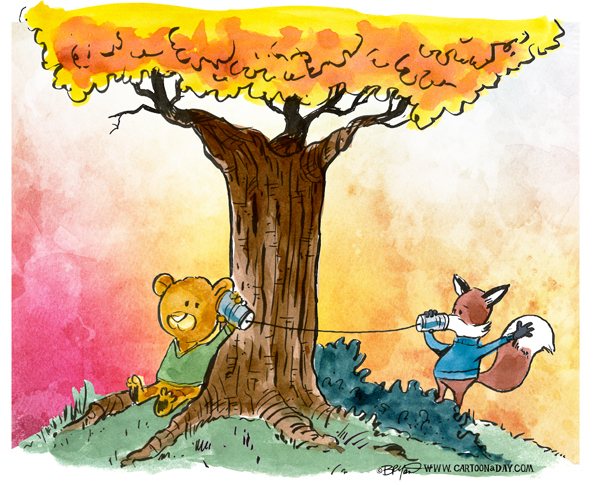 Here fox and bear are playing telephone underneath an autumn tree.